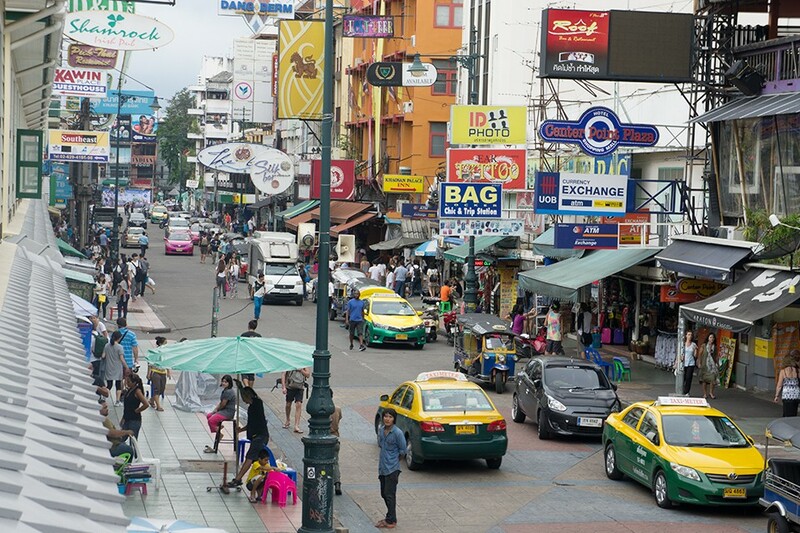 In Bangkok, Silom-Sathorn and Khao San-Rammbuttri are the mostly chosen areas to stay for tourists. We recommend both of them. Silom-Sathorn is a modern-central district of Bangkok. It is the center where the BTS Skytrain and subway (MRT) are connected. In this area, there are many hotels with 4 or 5 stars, even some hostel as well. Here are some of our recommendations: Furama Silom (3-4*), Pullman G (4*), Mode Sathorn (4*), Eastin Grand Sathorn (4-5*), or at the best hotel in Bangkok, the Mandarin Oriental (5*). In case you want something more money-saving, there are also hostels like Lub D Silom, EtZZZ Hostel or Saphai Pae Hostel. Khao San-Rammbuttri a good choice for backpackers, with many low-cost hostels and 3 star hotels. It is located in the ancient area of the city, near major temples, but far from public transportations. There are many nice places, but we would like to recommend you: Rammbuttri Village (3*), Casa Nithra,Vi Man Guest House, or Riva Surya (4*). Since it’s not complicated to find a hotel in Khao San, many people just come without having any pre-reservation for a hotel. By the way, Khao San Raod and Rambuttri Road are different roads but just close to each other. The first one is where all the party happens, the second one is much quieter. 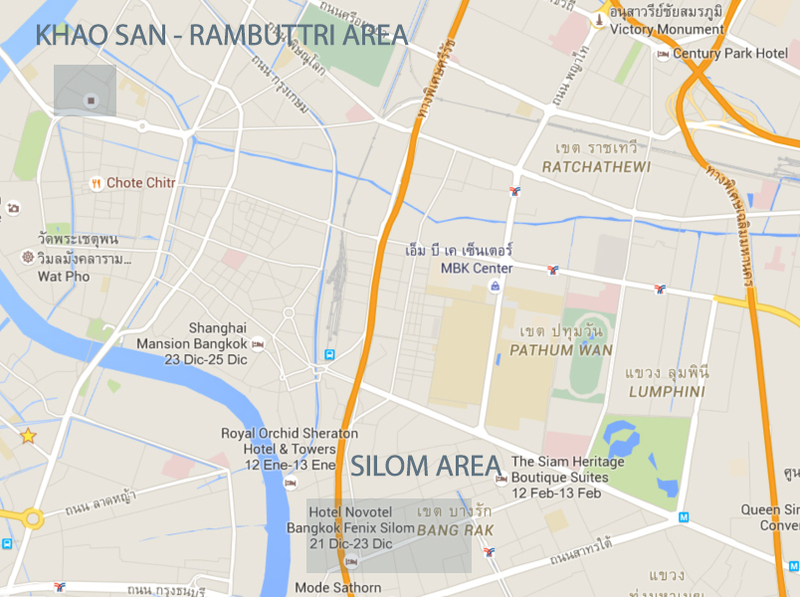 Conclusion: Where to stay in Bangkok? If you are looking for a nice 4* – 5* star hotel, then Silom is your area, but if you are ok in a cheap hostel and you like the busy backpacker’s areas, head to Rambuttri street (Khao San might be too much for a normal human being). How to get from the Airports in Bangkok to city easily? Author of this Blog. I live in Bangkok since 2010, when I decided to stay here after a gap year around Asia and Oceania. I have my own travel agency in Thailand - Mundo Nomada Travel Co., Ltd. - . You can find me on Google+, Facebook, Twitter or Linkedin. Fins aviat! © 2019 Bangkok Walking Tours - Get Around Like a Local.